Looking to raise awareness about your brand in casual settings? 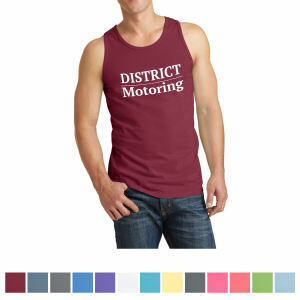 IASpromotes.com has promotional tank tops that are easy to customize with your corporate logo. These promotional tank tops are great to give to clients, employees and friends; turn them into walking advertisements for your brand! Whether worn at the beach, gym or around town, these embroidered promotional tank tops are sure to get your customized logo noticed. Let IASpromotes.com help you gain the recognition for your brand that it truly deserves. 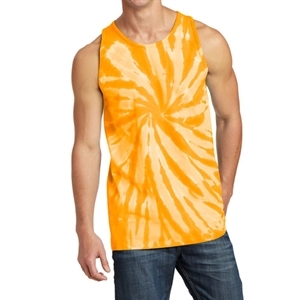 We have an extensive array of custom promotional tank tops. 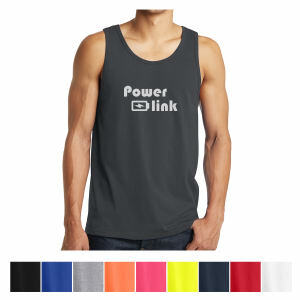 Choose from men's and women's style of logo tank tops available in a rainbow of colors and find the perfect promotional tank top for your next marketing campaign.